Here's the mini "Motley" dress from Hell Bunny! 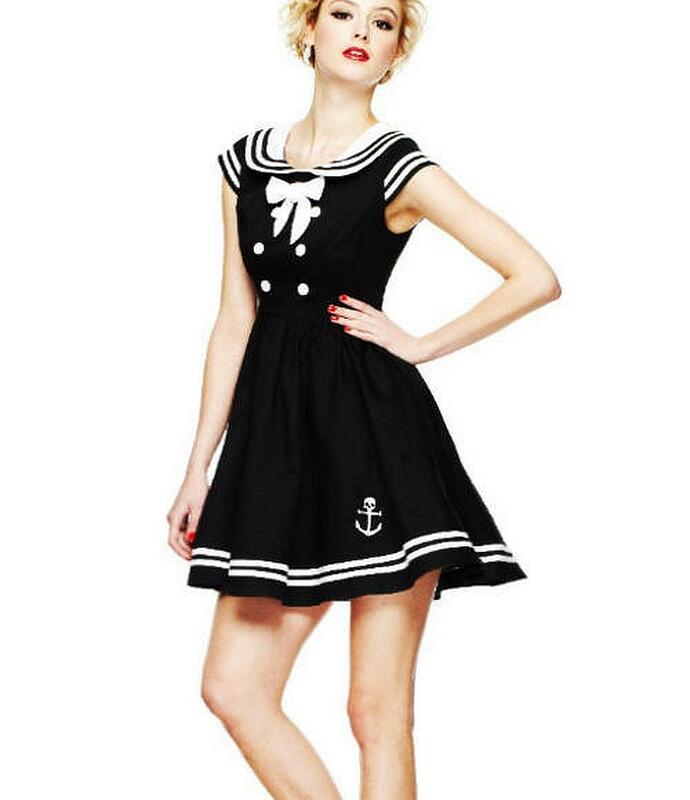 This 50s inspired mini dress has a fitted top and full skirt, sailor collar with white stripes that match the white stripes at the bottom hem, removable bow, darling skull anchor pockets & adjustable halter. Perfect for showin' off a little leg! I've been wanting this dress for awhile, finally found it on this website for a really good price. The dress is made with a high quality fabric and fits great! I love Hell Bunny clothes! I also received the dress very quickly in the mail. Q: Is the petty coat a part of the dress and included? If not, where can this particular black and white petticoat be purchased? A: Hello! 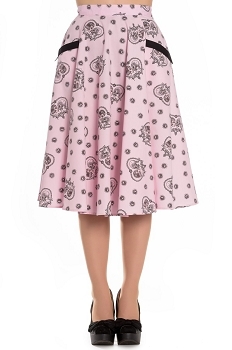 the motley mini does not include the petticoat shown in the picture. I believe it is an all white petticoat. We do sell them on our site, but the shortest would be around 21" long, so I don't think it would work with this mini. Leg Avenue carries quite a few that are around 14" long which might work well (they have a black & white version too). You might try them. I hope this helps!